A highly rated attorney with over 20 years of legal experience, Mr. Stewart established his law firm 17 years ago with a mission to deliver the highest level of legal representation possible. Since that time, he has successfully advocated on behalf of hundreds of clients in both state and federal courts, and he works hard to have the charges against his clients reduced or dismissed in order to mitigate the impact on their lives. 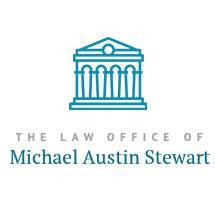 If you or a family member face criminal charges and need help fighting for your rights and freedom, you can trust the Law Office of Michael Austin Stewart for the assistance and support you deserve. For more information concerning your specific case, you can contact the law firm to schedule a free initial consultation.